Urgent action is needed if Australia’s aviation industry is to avoid disruptions due to the shortage of pilots and skilled maintenance engineers, a report says. That is the conclusion of an expert industry panel’s review of the aviation training sector in this country. “Australia is experiencing a severe shortage of aviation personnel and the situation is growing worse,” the report published on July 27 stated. “The current shortage of qualified pilots and aircraft maintenance engineers is a global problem and a major issue for Australia’s aviation system. Urgent action is required if the country is to avoid major disruptions. The report’s publication comes as Boeing’s recently published 2018-2037 Pilot and Technician Outlook estimated the commercial airline industry will require 635,000 new pilots, 622,000 maintenance technicians and 858,000 cabin crew members over the next 20 years in response to a doubling of the fleet and record demand for air travel. Asia Pacific represented the largest source of demand with 31 per cent of all new pilots, 34.1 per cent of all technicians and 36.1 per cent of all cabin crew to be recruited in the region between now and 2037. The strong demand in the Asia Pacific was, in part, being met by qualified pilots from outside the region, attracted by the relatively higher wages and conditions on offer. 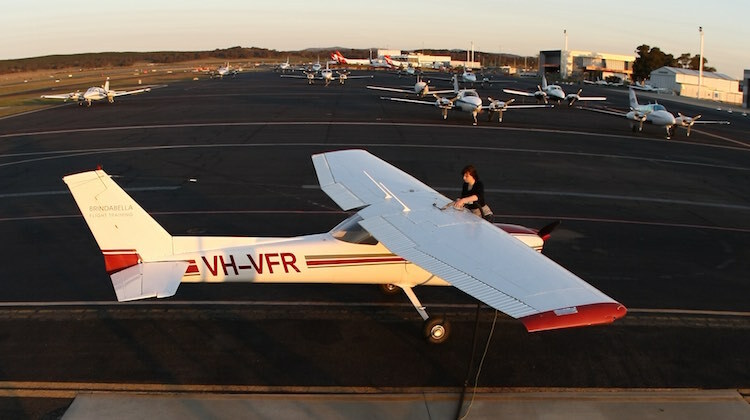 The report said Australia, as an advanced aviation nation, was “potentially well-placed to be a major player” in the training of the next generation of aviation professionals. However, Australia might miss out on this opportunity because of “issues within the aviation training and regulatory systems which need fixing”. “Solutions are available to resolve the many issues which are involved however a collaborative and cohesive set of short and longer-term actions is required by both industry and government to ensure the domestic aviation industry continues to provide safe, reliable and sustainable air services to Australians, particularly regional Australians,” the report said. Further, the report said Australia did not have an aviation training system capable of meeting the requirements of the industry now, or in the years ahead. “Our training system suffers from a lack of strong policy direction and coordination,” the report said. The report said Australia currently had an insufficient number of pilots with the necessary skills, experience and aptitude to fly and command aircraft operated by Australian airlines. “The current pool of suitably qualified and experienced pilots is inadequate to meet the current levels of demand, with experienced Australian pilots being recruited by major international airlines to support the global expansion of air services,” the report said. And the situation could potentially get more severe, given the expansion plans of airlines in the region and beyond. “As worldwide aviation activity continues to grow, particularly in the Asia-Pacific region, the concern is that internationally based airlines will increasingly look to Australia as a source of highly qualified and experienced airline pilots, flight instructors and licenced maintenance engineers which will further exacerbate the present shortages of aviation professionals in Australia,” the report said. The situation had a flow-on effect on flying schools, with flying instructors “offered attractive salary packages to move or to return to airline flying, leading to a decline in the pool of experienced flying instructors available to undertake pilot training”. Locally, Regional Express (Rex) recently publicly expressed its concerns over the impact of the global pilot shortage on its operations. “Consequently, any last-minute sick leave may result in flights being cancelled or combined with other routes. Meanwhile, the report said there was a “serious shortage of licensed engineers available to oversee the maintenance of aircraft to the required regulatory standards”. “The licenced engineer shortage is further exacerbated by the age profile of this group who are generally in their mid to late 50s. 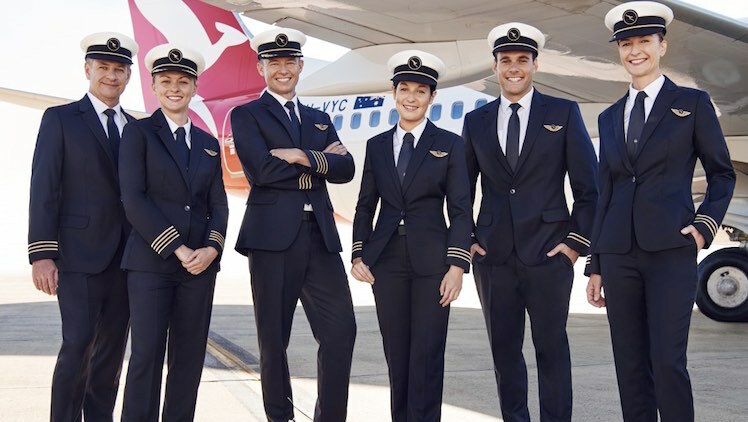 Also, Qantas was due to announce the location for its proposed pilot training academy by the end of September, with nine regional locations on the shortlist for the $20 million facility. The airline was targeting an equal intake of males and females for its 54-week pilot cadetship program, as part of efforts to broaden the pool of available aviators for the next generation.. The aviation skills and training report was written by a panel of experts chaired by The Australian Aviation Associations Forum and comprising representatives from Aircraft Structural Contractors, Aviation Australia, Basair Aviation College, QantasLink, the Regional Aviation Association of Australia, the Regional Express Flight Training Academy and Virgin Australia. The panel also consulted with more than 20 stakeholders in the aviation sector such as flight training schools, government departments, industry associations, regulators and universities. It recommended an industry wide career pathway program from initial training through early flying experience to transitioning to the major airlines be established. Other recommendations included calling for lobby group Airlines for Australia and New Zealand (A4ANZ) set up a forum of industry stakeholders, offering more financial support for students and flying schools and lifting the regulatory burden on the industry. Deputy Prime Minister and Minister for Infrastructure and Transport Michael McCormack said he welcomed the report, adding the government supported efforts by industry to find longer-term and sustainable solutions for the ongoing expansion of the Australian aviation sector. “I have written to the Minister for Education and Training, Simon Birmingham, to highlight the Report’s recommendations and to note its value as a snapshot of industry views regarding Australia’s future aviation workforce training needs,” McCormack said in a statement. This report is an interesting read, it backs up the situation we, within aviation recruitment and training have been experiencing and discussing for the last two years. For anyone wanting a grass roots understanding of the complex nature of the pilot “experience” shortage, training availability and industry trends that have lead to this then this is worth reading. Answer this question and you will solve your problem. -start considering $ and personal lives. There’s lots of pieces being written about pilot shortage. There has been for years. But I’m not seeing much sign of it. Virgin Australia say their hold file is full. Tiger have over-recruited for their 737 transition program and letting go of contractors. Qantas don’t have their doors open for their mainline fleet for SO/FO/Capt positions. Jetstar are only currently advertising for Japan. I’ve worked for a legacy airline, and a low-cost carrier, yet am finding it hard to find work for an airline. If they’re that desperate, I’d be getting head-hunted from LinkedIn, and Austraialian conditions would be far better than they currently are. There’s a long way to go before airlines REALISTICALLY need to start cutting services. At the moment, they need to stop using psychometric analysis as the first hurdle and interview pilots straight up based on experience; and offer better conditions to stop them leaving for off-shore positions. I’ve been through the pilot recruitment process several times over recent years with a few operators and never, ever got the impression that they were short or desperate. The process has always been massively drawn out. Months between interviews. Once after passing the first interview, I waited 6 months for the second interview. Info from those already in the job and from reading between the lines of the interview questions clearly indicates they only want to hire very young people not anyone over about 30. At the final interviews, once they get through the standard questions, they start asking obscure questions that have nothing to do with your personality, ability or the job role simply so they can narrow the selection pool down. I notice that when REX opened their pilot academy many years ago, they were doing 3 intakes per year of new cadets. Now, several years later, they still only do 3 intakes a year. If they’re so short why don’t they do more intakes? I remember going to one of their early interviews and they boasted that they had over 1000 applicants for just 8 positions. I notice that Qantas has boasted that they over 10,000 expressions of interest for their program which hasn’t even started yet. I also note that the article suggests that since Asian airlines are sending pilots overseas for training to meet growing demand.. That is not the case. Asian airlines have been sending pilots overseas for training for years as the norm. The reason they do that is because there is no GA industry in Asia. In most/all parts of Asia, you can’t just go to a local airport and do flying lessons like you can in Australia. Cathay Pacific has been training pilots in Australia for decades since Hong Kong does not have any GA facilities. Reports like this seem to come up every year. Agree with your views. The same reluctance to hire anyone over 35-40 seems to be the case for Professional Engineers as well. Australia has very fine laws regarding discrimination based on age, but they are not enforced. I interviewed with Virgin last year, After 10 months of silence I received a call that I was unsuccessful. Upon asking for interview feedback I was told that I was not deemed enthusiastic enough to work for Virgin. This does not sound like a shortage to me!